Information related to our upcoming Grad Events: School Leaving Ceremony, Grad Dinner Dance and Dry Grad can be found here. For your convenience, there is a Grad Events Timeline listing of important dates to consider over the next two months. The core competencies along with literacy and numeracy foundations and essential content and concepts are at the centre of the redesign of curriculum and assessment in BC. 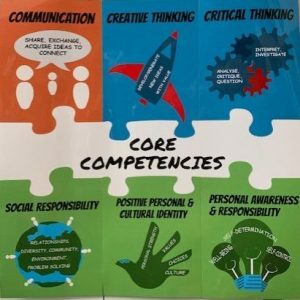 Core competencies are sets of intellectual, personal, and social and emotional proficiencies that all students need to develop in order to engage in deep learning and life-long learning. Almost all lessons, activities and projects that students participate in during the school day, involve some kind of engagement with the core competencies. 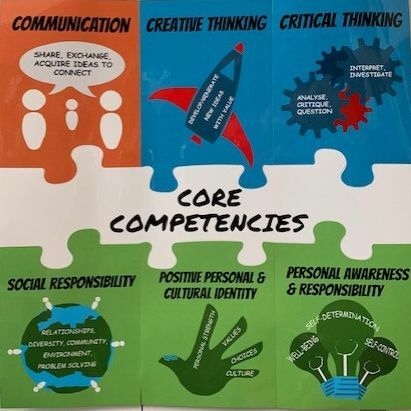 To learn more about the core competencies, click here to get a description of them and watch a video from the Ministry of Education. As part of the redesigned BC Curriculum, students are required to reflect on their personal progress in the identified core competencies. At Burnaby Mountain we have done a number of things to help Grade 8/9 students fulfill this requirement for the 2018/2019 school year. Grade 8/9 students will be completing a reflection activity in their English classes starting on May 2/3. They will be asked to identify their progress in the core competencies and document some evidence of that progress. Students can also use this activity to set some goals for the future with regards to their learning and development in the competencies. On Wednesday, May 22nd, we will be having a five period day. The bell schedule will be the same as our Tutorial Day Schedule. During the first hour of school, grade 8/9 students will meet with a teacher to chat about their reflection and goals with regards to the core competencies. Students have been notified about the time, location, and teacher they will be meeting with by the end of the day on Tuesday, May 21st. The BMSS PHE department have planned a fun, collaborative and activity filled event to end the 2018-2019 school year. 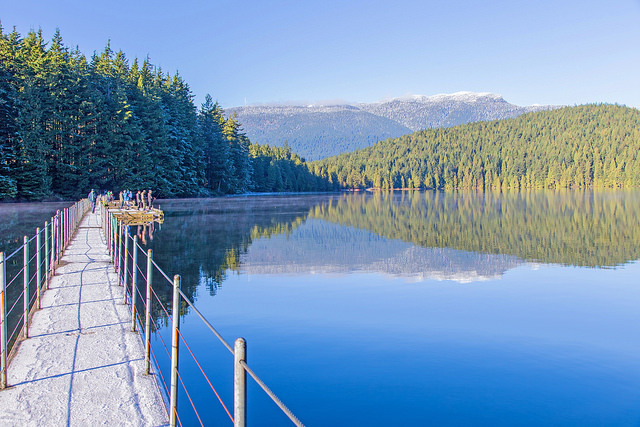 This grade 8/9 student field trip has been planned to Sasamat Outdoor Centre in Belcarra, B.C. on May 16-17, 2019. The students will have the opportunity to enjoy an experience with their peers packed full of fun and adventure in a safe place for youth to build and expand new friendships, explore the outdoors and make memories that will last a lifetime. They will participate in activities such as canoeing, archery, raft building and kayaking to name a few. The benefits of outdoor education include: building community, stress release, building confidence, and self-esteem. Click Here for more information about the trip and the cost associated. Masih Mohammad-Rafi, Filippo Miniati (Bronze). Bianca Pizzirani (Silver), Ariana Esmail, and Nicholas Tsap (Gold) – missing. 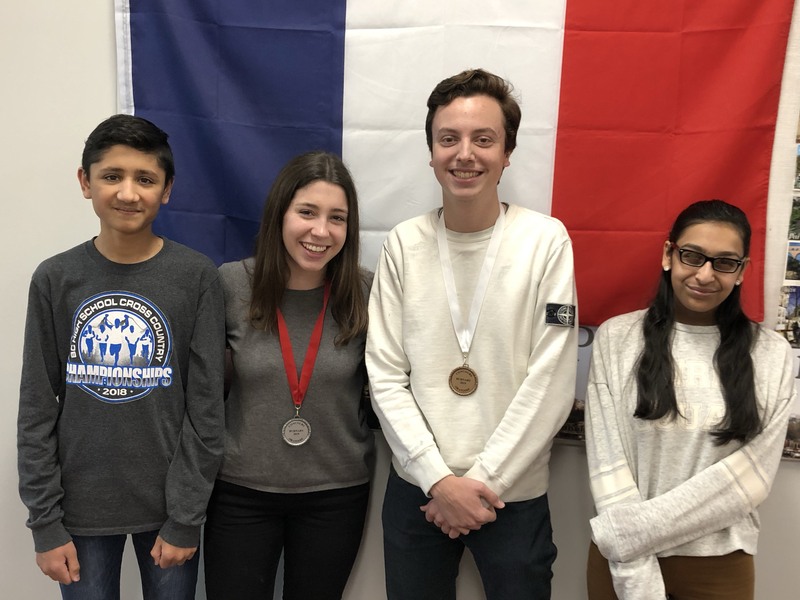 Congratulations on your amazing effort and dedication!